The Un-Break My Heart singer is STILL a Queen of R&B! The imitable Toni Braxton live! One of the biggest soul and R'n'B stars during the Nineties, Toni Braxton is still a Queen of R&B! She was honored with the President's Award at the 2016 BMI R&B/Hip-Hop Awards in September, ahead of a massive Greatest Hits tour. The Un-Break My Heart singer has three Grammy Awards to her name, including best new artist with her 1993 self-titled debut album, which sold more than 8 million copies. Braxton's 1996 follow-up "Secrets" saw two more Grammy wins and was certified eight-times platinum, and featured the singles You're Makin' Me High and the perennial tearjerker Unbreak My Heart, that saw millions of heartbroken women worldwide tear up in their bathtubs - as per the video. Catch this iconic star live when she performs near you! Sound good to you? 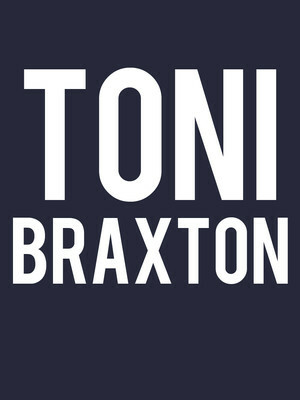 Share this page on social media and let your friends know about Toni Braxton at River Spirit Casino.